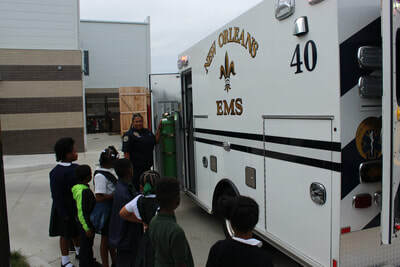 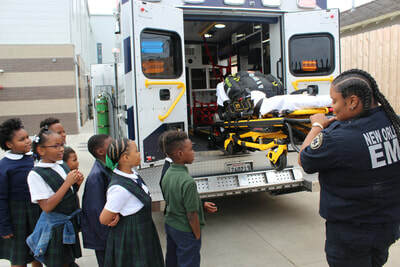 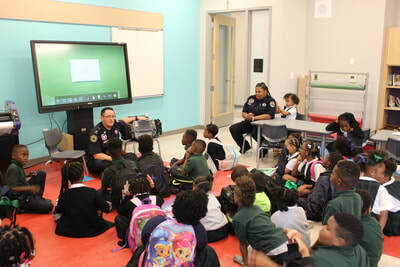 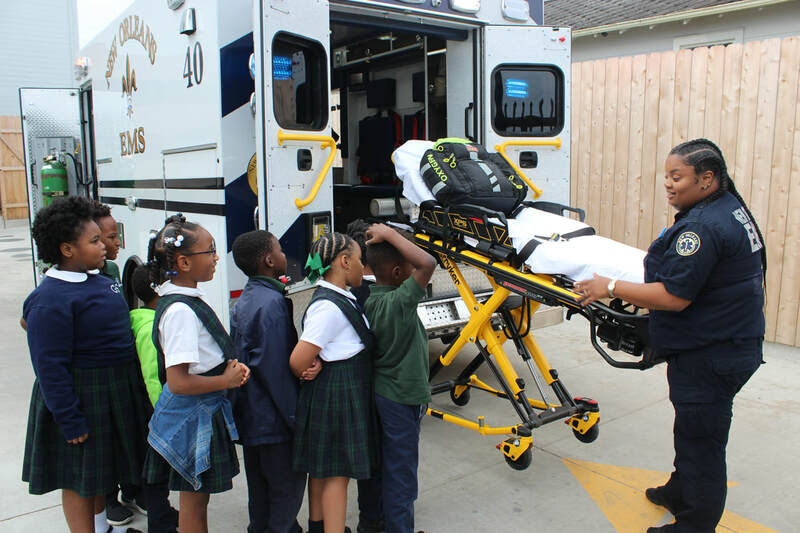 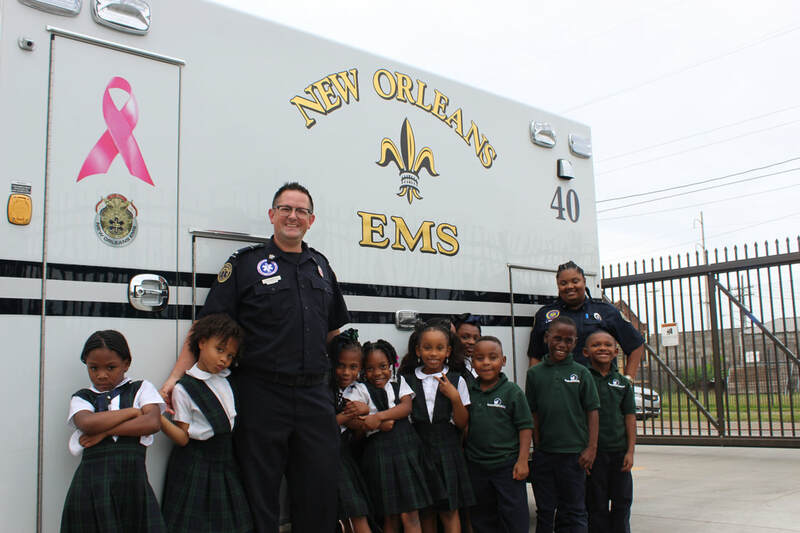 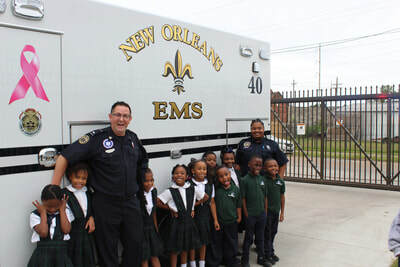 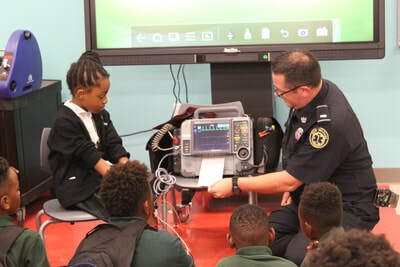 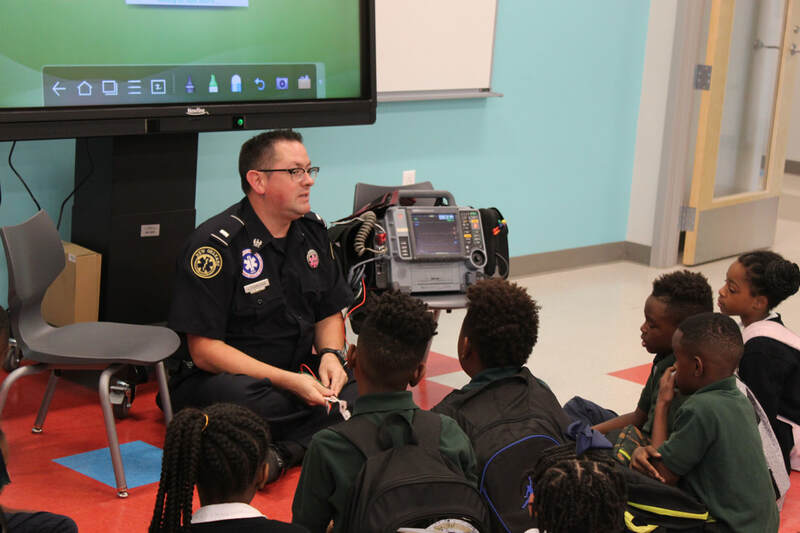 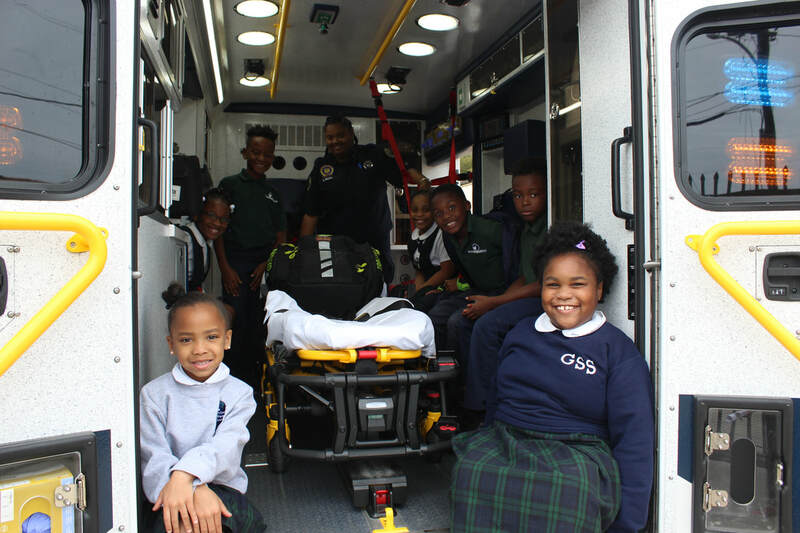 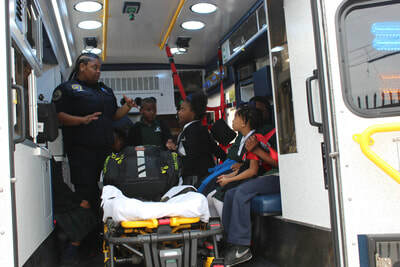 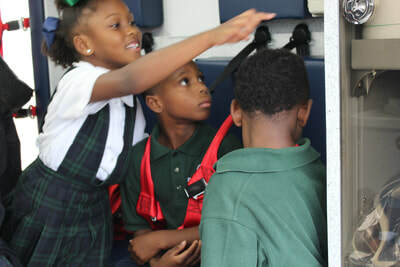 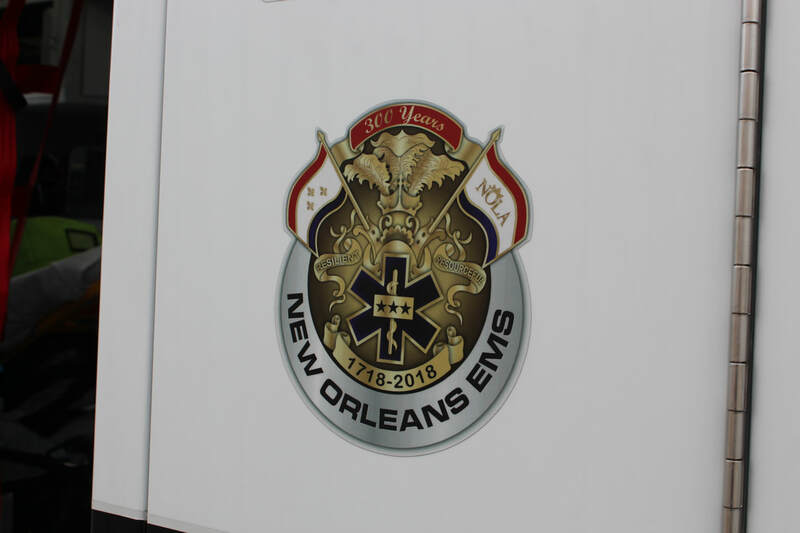 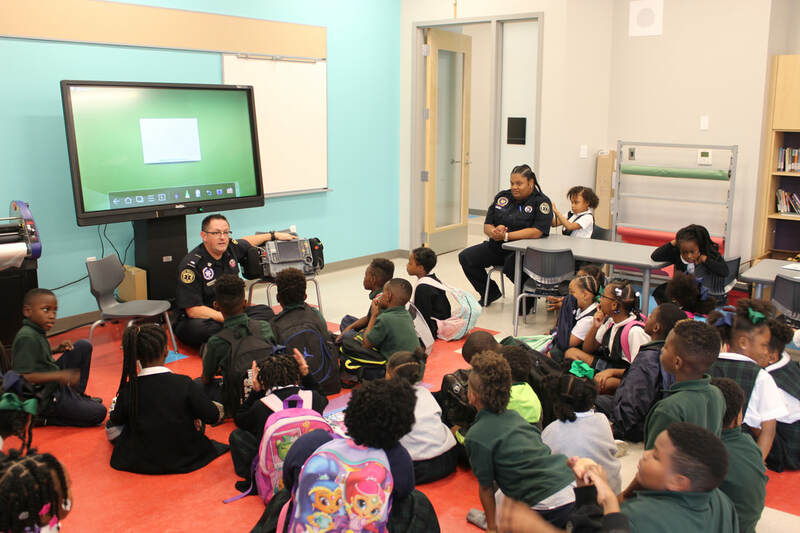 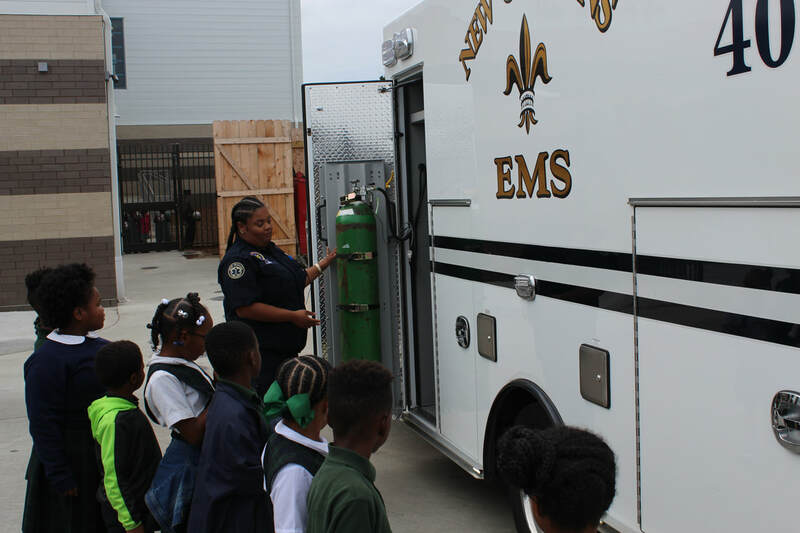 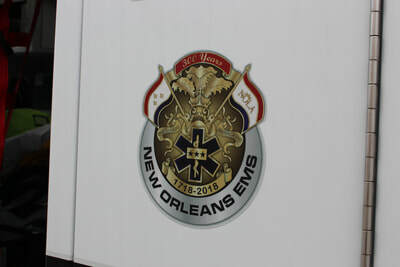 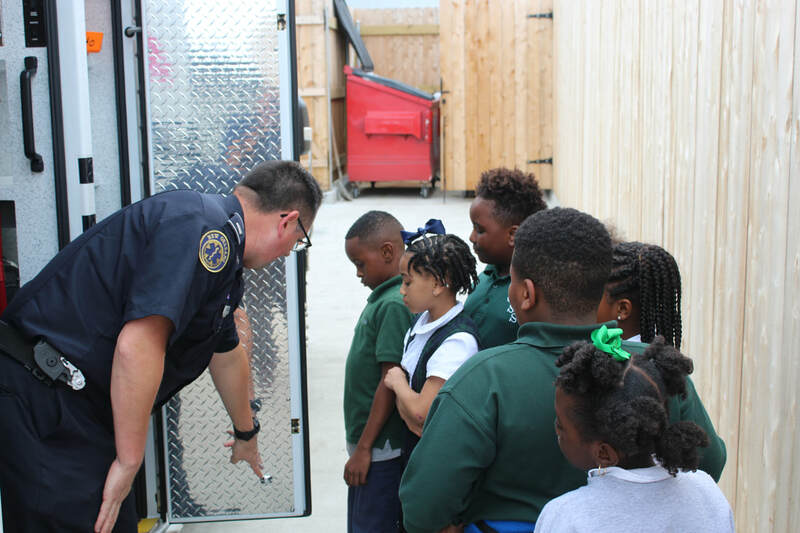 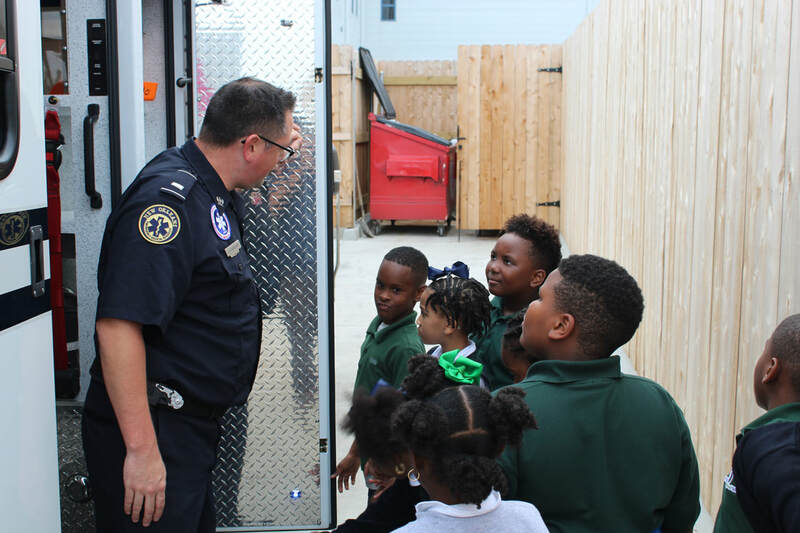 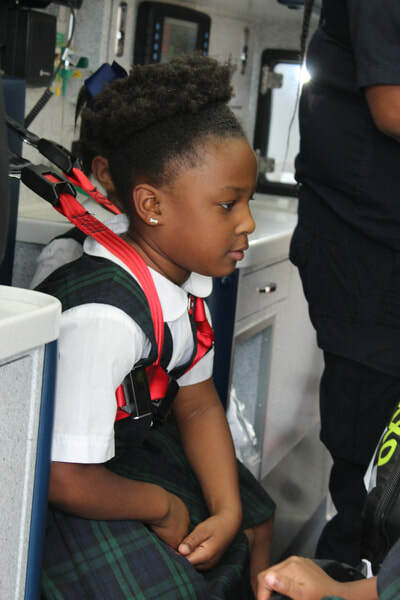 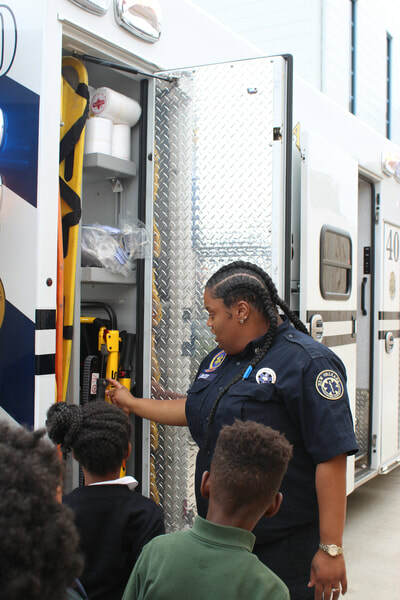 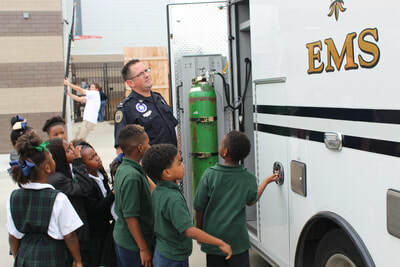 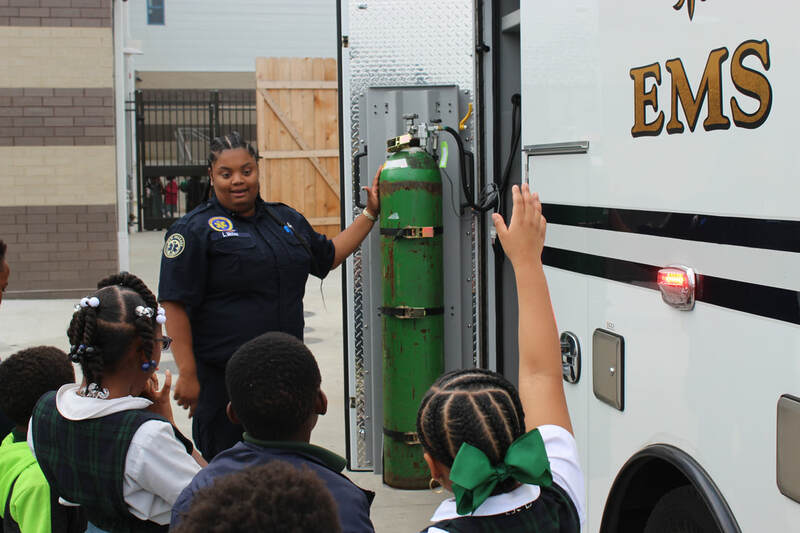 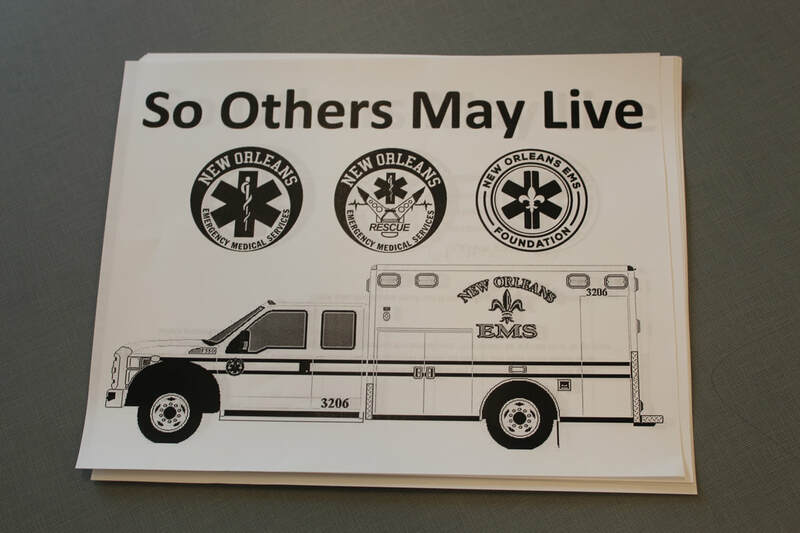 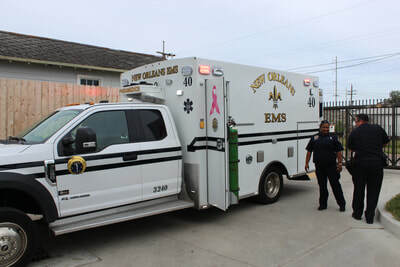 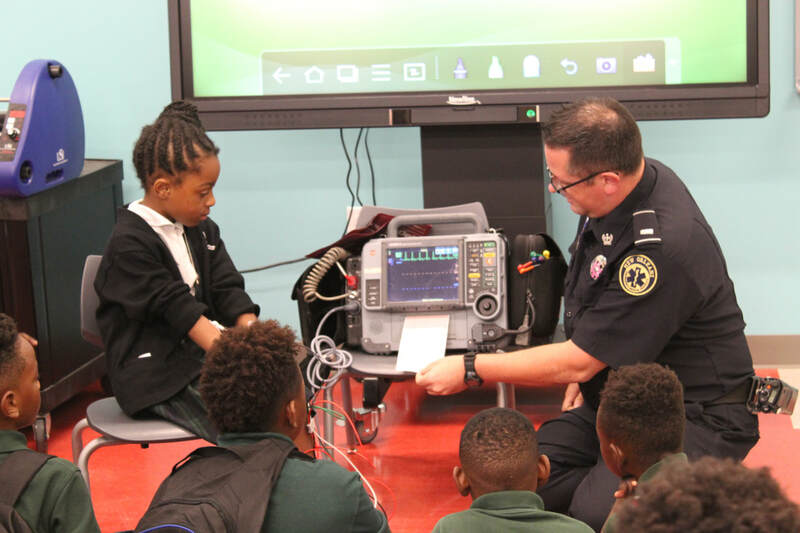 On Monday and Tuesday, the New Orleans Emergency Medical Services are visiting the GSS campus to speak to the PK - 3rd grade classes. Lt. Jonathan Fourcade spoke to the classes about the role of an EMT and showed the students a heart monitor used on their calls. 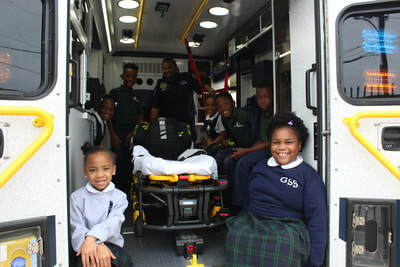 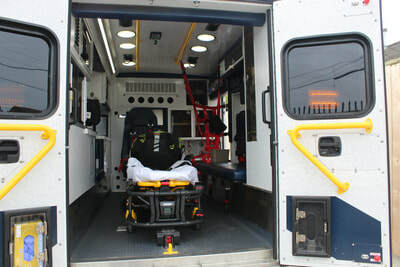 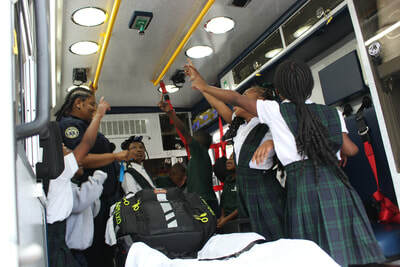 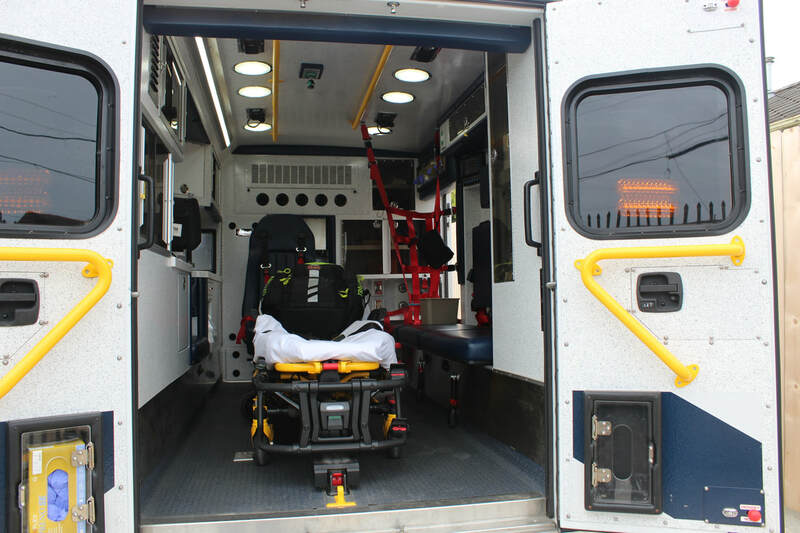 After the presentation, students were excited to actually go inside an ambulance and learn about the many parts of the rig. 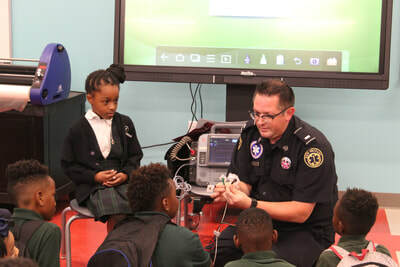 Thank you to Lt. Fourcade and the NO EMS for visiting and giving the GSS students an afternoon to remember.